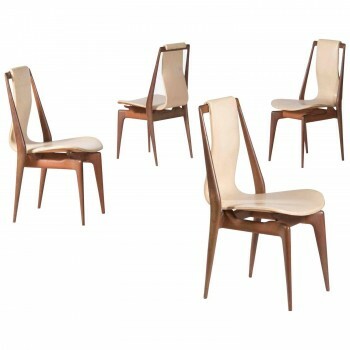 Apelli and Varesio atelier, set of four chairs, Mahogany, faux leather, Circa 1955, Italy. Provenance: Private collection, Turin, Italy. Height: 90 cm, width: 42 cm, depth: 46 cm.